It seems almost trite to be focusing on what I’ve accomplished in the past month while friends and colleagues have Hurricane Sandy bearing down on them, but the show must go on despite the things happening around us that are out of our control. My thoughts, prayers, hopes are with all who are in Sandy’s path — may all be safe. First, it’s good to be able to report that I’m 10 for 10 in 12 x 12. My manuscript this month is very different to anything I’ve written thus far, since it tugs at the heart before having a happy ending. It also has a different subject focus to anything I’ve tried before, and it was good to stretch out of my comfort zone a bit. I will try to challenge myself to stretch even further with the final two drafts of the year. Late breaking news — Sunday afternoon I wrote another draft, so I am now 11 for 10. In other writing, although I feel I should have done more this month, I have done revisions for several picture books (with more revisions to come in the next couple of weeks). My adult novel has grown somewhat, although there is much to do on it. I’ve written and polished a short story (for adults), again pushing out of the comfort zone a bit. I have spent some of my time this month reading, as well. Reading books in one’s genre(s) and looking at them with an educated eye, is an important tool in a writer’s tool belt. This month I have been focusing on reading picture books, along with some other friends, led by Kathy Ellen Davis who challenged us to read 31 picture books in 31 days and share about our daily reading on her blog. It has been a great opportunity to read a lot, think about what I’ve been reading, and learn from others. We’ve had a lot of fun along the way, as well. I hope Kathy Ellen will run this challenge again next year, and I very much hope more people will join us then. I am very glad to say that all the archive posts have now been added to my blog, so there will not be the heavy postings on the weekend anymore. I thank you for your patience through that process. I also ask your continued patience as I try to sort out the glitches with the subscriptions to my blog, and I apologize for the late arrival of post notifications. I hope to have it all sorted soon. The high point of my blogging month was, of course, the interview with Julie Andrews and Emma Walton Hamilton. I am so grateful to both of them for participating so fully in the interview. I also enjoyed my month-long focus on their book and musical The Great American Mousical — I hope that the coming storm won’t wreak havoc on the upcoming performances. Opening night is November 8th! The month-long Perfect Picture Book focus on books that encourage children to take a close look at nature has also been a joy for me. Although that focus was prompted by the three birthdays I celebrated in my October 1st post, it also had a great deal to do with my mother’s influence on my life, as she so often said of our province, “Here you have to look for the beauty, it doesn’t hit you in the face.” The picture books I shared this month helped us look for the beauty in nature, wherever we find ourselves. And now to what’s coming in November. You will notice a couple of badges in the sidebar to the right, under the heading “What’s On in November” — November is Picture Book Month, a celebration begun by author Dianne de la Casas. Every day on the Picture Book Month website, there will be a post by a prominent author or illustrator, and many others (like me) have signed up to be Picture Book Month Ambassadors, spreading the celebration far and wide. Also in the sidebar is the badge for PiBoIdMo ’12. After some hemming and hawing, I’ve decided to participate in Picture Book Idea Month again this year. It provided great fodder for my 12×12 manuscripts this past year, and so, although I won’t be able to be as active this November, due to other plans, I will do some concentrated idea generating in November. On my blog, I’m looking forward to a couple more posts about The Great American Mousical. I have some interesting and unique “Perfect Picture Books” to share, before returning to my usual focus on the arts in December. I also have an interview coming up at the end of the month with Susanna Leonard Hill as we celebrate the first anniversary of Perfect Picture Book Friday. By that time there will be well over 800 picture books in the list — a list that is truly becoming an amazing and valuable resource. So, there’s a lot still to look forward to. Here’s to a good month-to-come! What do you have planned for the coming month? And to everyone in the path of Hurricane Sandy, stay safe. My thoughts are with you. Thanks for the wishes! Good job on 12×12! Thanks, Erik! Stay safe and dry! You have had a productive month for sure! I appreciate hearing how well you are doing. It keeps me inspired. Wonderful that you are doing well with your goals. Good luck with PiBoIdMo. Sounds like a wonderful month, Beth! You are inspiring for sure. I am amazed at how active you are in the different online writing communities. You contribute a lot…Thanks! Thanks, Susanna! November is going to be an amazing month, I do believe! Congratulations on a very productive month! I thought I would get more done than I did as I was off work with a broken ankle but I couldn’t always concentrate and spent too much time feling sorry for myself. I did however manage to write three more chapters in my next Amanda book and submitted a reworked short story to a competition. 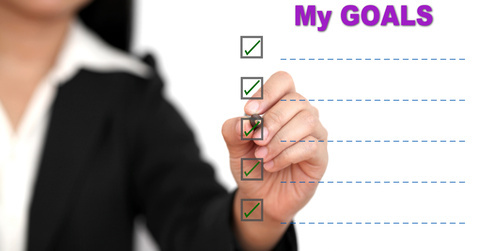 Good luck on meeting yoru goals for November. Thanks, Darlene. You needed to spend the time healing, I think. But it sounds as though you did accomplish some things, and that’s good. Be gentle with yourself. A break like that is a shock to the whole system. I’m sure November will be more productive for you — it will be as productive as is possible, at any rate. All will be well. Thanks Beth! I needed to hear that.